Mylessa Coburn Butler Injured in Greenville Apartment Shooting; Justice, Compensation Available to Victim? Could this senseless Greenville apartment shooting have been prevented and are justice and compensation available to Ms. Butler? 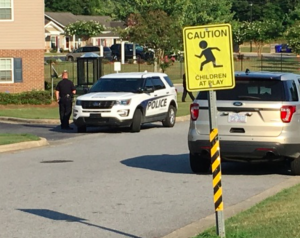 48-year-old Mylessa Coburn Butler was shot and injured “at an apartment complex on Best Road” Monday evening, July 2, 2018, according to WNCT reports. Police told The Daily Reflector the shooting occurred “shortly before 5:30 p.m. during a dispute in the 2800 block of Best Road.” Ms. Butler was transported to Vidant Medical Center with “non-life-threatening” injuries. What security measures, such as gated-entry, bright lighting, surveillance cameras, and security patrols, were in place to deter crime and protect Ms. Butler at the time of the shooting? Generally, property owners are required to protect all those legally on the premises from any foreseeable harm. Should the facts of this matter reveal that the apartment complex owner or management failed to provide adequate security to protect those on its premises, Mylessa Coburn Butler may seek justice and elect to pursue legal claims for her injuries.